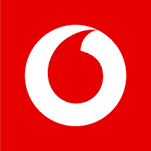 Vodafone Recharge is Offering Vodafone Super Hour. Get a pack of Vodafone SuperHour to enjoy 1 hour of unlimited 4G/3G Internet – worry free. Vodafone SuperHour packs are also available for unlimited talking for one hour. Enjoy unlimited entertainment with unlimited internet.